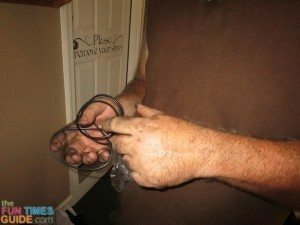 We have HID lights in our Harley-Davidson motorcycle. Love ’em! There’s nothing like a super-bright set of headlights. 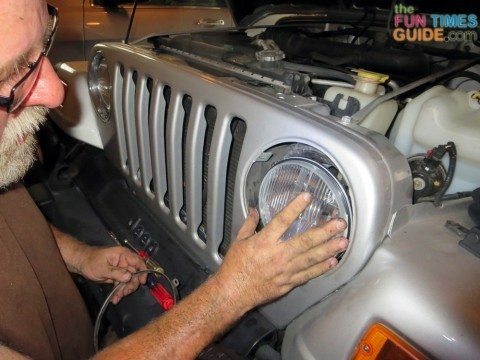 But we still have the factory-installed stock headlights (with halogen bulbs) in our 2004 Jeep Wrangler Unlimited. This means we’re basically guided by a small area of yellow light that shines directly in front of the vehicle. We’ve complained to each other for the past couple years that our Jeep headlights are so dull, it’s hard to see the entire road clearly at night. Sometimes it seems like we don’t have any headlights on at all! We’ve resorted to using the fog lights for our normal driving lights — because the brighter light makes a huge difference. 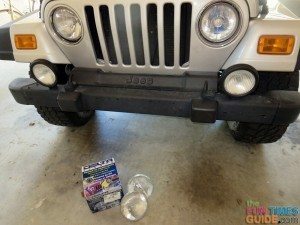 We’ve ordered Jeep parts from 4wd.com in the past and always had a good experience, so we were thrilled to try a new set of headlights from them. 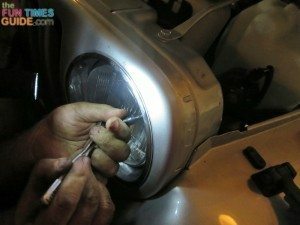 Here’s a little about how Xenon headlights work. 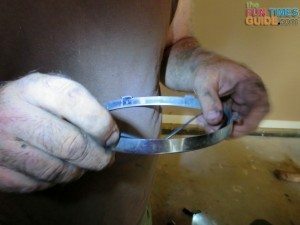 You need to use a special tool: either a torx screwdriver set or a torx bit socket set. 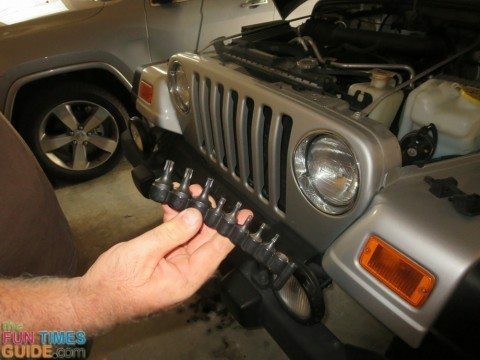 Torx bits have star-shaped tips that match the Jeep’s bolts. 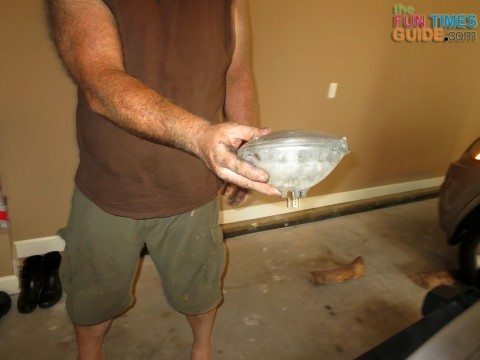 For this project we used the sockets, but they were too fat to clear with ease and we wished we had a torx screwdriver set instead. Changing headlights is easier if you have someone to help you — if nothing else than to shine a flashlight into the tiny space where you’re working while trying to line up the torx bit (or trying to find it when it falls). 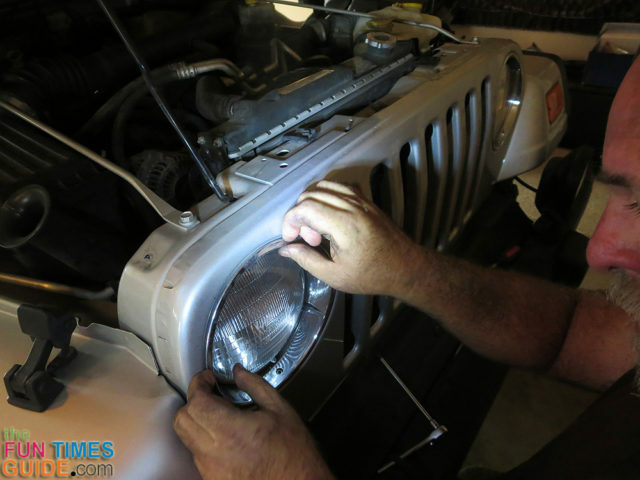 Here are some photos I took of Jim installing our new Xenon headlights. 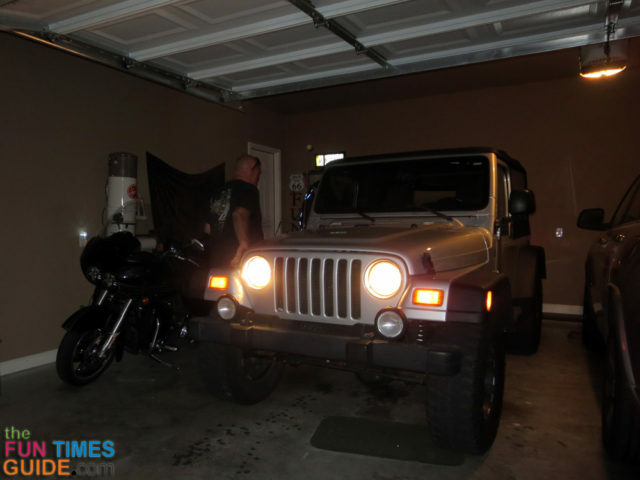 In addition to the example above with the headlights shining on the wall, you can see in these next 2 photos how the original Halogen headlights (LEFT photo) are much more yellow and less bright than the new Xenon headlights (RIGHT photo) which are whiter and brighter. 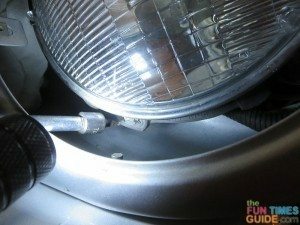 Controversial HID and Xenon Lights: Are They Too Bright? I’ll Take Xenon Headlights At Any Price!